Dot density maps show the distribution of people for a certain variable. 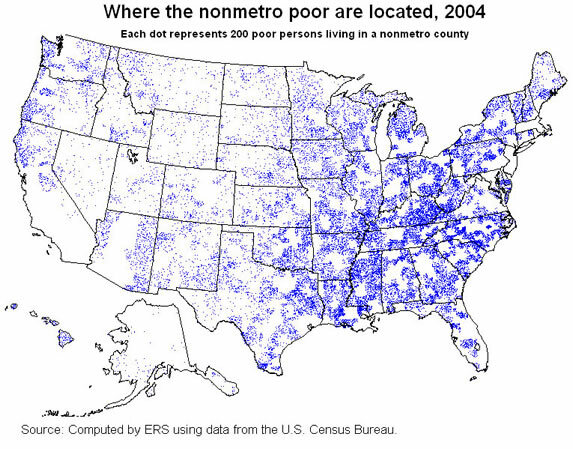 In this map, each dot represents 200 people living in a nonmetro county. The darker areas on the map show the higher amount of poor people living in the area. The areas where there is mostly white colors shows where there are not very many poor people. This distribution is taken from the year 2004 in the United States.